Napoleon PRO series cutting board and bowl set comes with durable bamboo cutting board and two stainless steel bowls. With an anti-bacterial surface made from bamboo wood, the Napoleon cutting board is perfect for prepping foods for your grill. The two stainless steel bowls conveniently hide away inside the clever cutting board design. Also included in the clever design is a trough that will capture the juices that can easily be poured into the bowls through the handle. This Aubrey D. Rebel Hot Sauce is made with the worlds most popular pepper, the Jalapeqo! This is the sauce you will just want to pour on all kinds of dips and dishes, like guacamole, salsa, tacos, fajitas and burritos. It tastes just as good on entries like red beans and rice or paella and makes for a great Cfsar too! BE A REBEL! 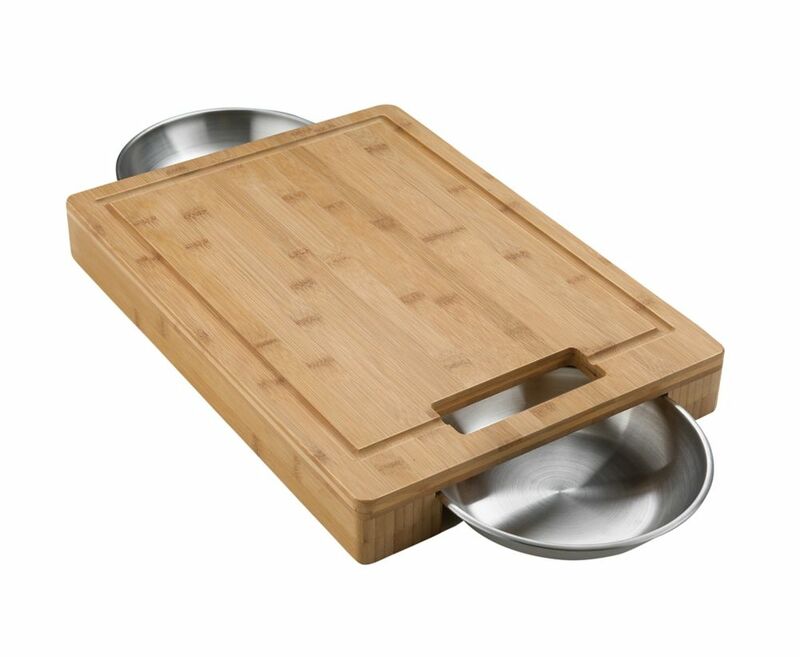 PRO Cutting Board with Stainless Steel Bowls Napoleon PRO series cutting board and bowl set comes with durable bamboo cutting board and two stainless steel bowls. With an anti-bacterial surface made from bamboo wood, the Napoleon cutting board is perfect for prepping foods for your grill. The two stainless steel bowls conveniently hide away inside the clever cutting board design. Also included in the clever design is a trough that will capture the juices that can easily be poured into the bowls through the handle.